#10 – Please Check Out 5 New “Good Books” | It's the Women, Not the Men! I hope your summer has been pleasant. The new little addition to our family is growing bigger everyday and we are all happily covered with baby slobber. While the little one sleeps nearby, I have been reading. 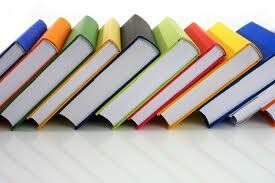 I’ve included my book reviews under the “Good Books” tab, which is at the top of my Home page. If you’ve finished your summer reading list, you may find one, or more, of the five books (#5 – #9) I’ve just read, of interest. Well, not exactly all five. One (#5) was a total waste of time, highly irritating and should be avoided. But that’s a matter of choice. You may find the book of interest for its Ra! Ra! fem-speak. It’s always nice to know the native language of your expressed enemy, even if you don’t enjoy the process. All relate to my efforts to keep young people, and their parents, apprised of the evil lurking in plain sight, in hopes that this knowledge will help them survive feminism.